Milwaukee native Danny Gokey first came into the public eye as a contestant on Season 8 of American Idol, where, as a weekly favorite of all four judges, he made the semifinals and eventually placed third behind Adam Lambert and season winner Kris Allen. 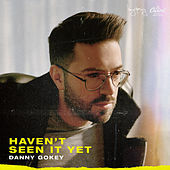 Following his appearance on Idol, Gokey signed to RCA Nashville and launched a solo career with the single "My Best Days Are Ahead of Me," which reached No. 55 on the country charts. His debut album, My Best Days, appeared in March 2010.